You might have noticed that we provide readership data for each of our books online, including the number of times each book has been viewed and the location of the readers. If you would like to know more about how this data is collected and where it comes from, read on! A Book Session is a group of visits made by the same user within a continuous time frame. To record these sessions we use Google Analytics, and a session lasts until there are 30 minutes of inactivity; if a single user keeps interacting with the website within this time frame, multiple visits to the same book will be counted as one session. For more information on Google Analytics’ definition of a session read: How a web session is defined in Analytics. For more information on how Google Books records traffic, click here. Book Visits represent the total number of times a book has been accessed. This can include multiple visits by the same IP address, which are counted as separate visits. Book Downloads represent the total number of times a book has been downloaded. In addition to the download data we receive from Unglue.it, we collect free ebook download data from other platforms including our own website, Kindle, Google Play, etc, and we add these into the statistics we report. However, these download figures are calculated slightly differently on each platform, depending on whether repeat downloads to the same IP address in quick succession are counted as two downloads or one. As with Book Sessions, we err on the side of the lower figure wherever possible. Geographic information: most platforms do not provide geographic information about the users accessing their content, and some people configure their browsers to block any third party tracking scripts attempting to collect such information (e.g., Google Analytics). For these reasons we are only able to provide readership data by country for a small percentage of our total figures - about 40%. 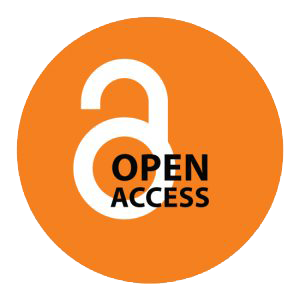 We try to provide as complete a picture as possible about the number of times our books have been freely accessed, as well as the location of the readers, because this information helps to demonstrate the value of Open Access publishing. For more about what we can learn from our readership data, see our blog post.